Your Exclusive Invitation to meet the all electric Jaguar I-PACE! Every Jaguar vehicle feels like no other car on the road. Moving to all-electric power doesn’t change this. Built from the ground up, the New Jaguar I‑PACE is a pure Battery Electric Vehicle. Thrilling to look at and drive. 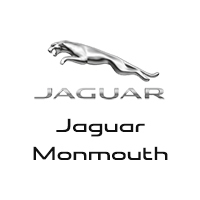 Join us to meet this electrifying new member of the Jaguar family and experience it for yourself. RSVP below! Let us know you'll be able to make it!